Why use Grow Lights for your Succulents and Cacti? We all know that plants need light to survive. 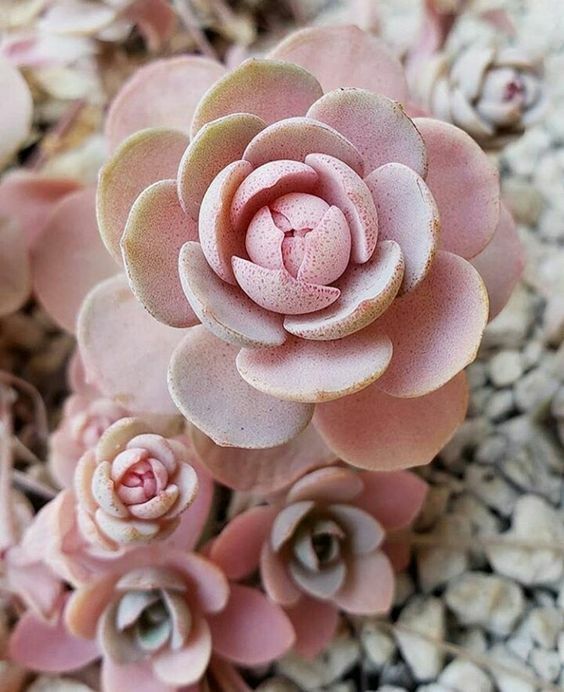 This is especially relevant to succulents and cacti as these species naturally grow in bright and warm habitats, typically receiving at least 6 – 8 hours of sunlight per day and through a process of plant adaptation have adapted to thrive in these conditions. There are some plant families, such as the Crassula’s, Haworthias, Tillandsia and Kalanchoesa that tolerate rather low light levels, but even these families are happier long term in a lighter and brighter situation. Low light levels can cause your succulent plants to become stressed, their form becoming abnormally stretched in their search for light. Other signs of low light levels are colour-loss. Plants lose their bright colours, becoming much duller and darker. Winter time presents further light problems with dramatically less daylight hours. You will find that even plants which were perfectly happy in the spring and summer time, perched on a sunny window sill, can become unhappy in their search for light throughout the long winter months. This is when using indoor grow lights are the only option. Grow lights provide adequate amounts of the right sort of light and will keep your plants in prime condition – bushy in structure, bright in colour and naturally beautiful. Grow lights provide a synthetic light which is the equivalent of sunlight. The leaves and petals of succulents act as solar panels absorbing the photosynthetic light from the sun. Unfortunately, normal indoor light is not sufficient to replace sunlight, but grow lights can actually mimic the suns photosynthetic spectrum, keeping your plants happy throughout the year. But what sort of grow lights should you choose and for how many hours will they need to be used for? Well, this can be a daunting situation as there are many different types available. 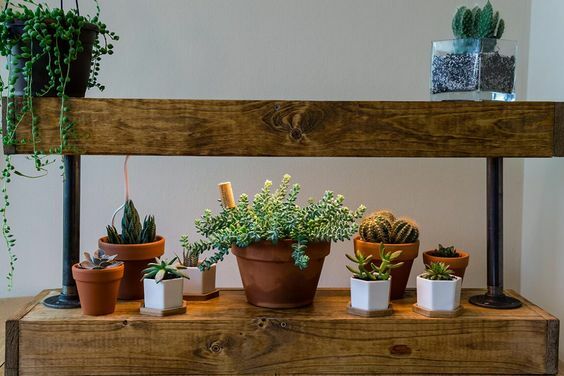 It is common practice that providing 12 hours of supplemental light will keep your succulents and cacti happy throughout the dull winter months, thus avoiding abnormal stretching or fading in colour. I am hopeful that this guide will explain which lights are best for what you need, in an easy to comprehend manner. Intensive researchers have compiled a list of the “Best Grow Lights for Succulents in 2019”, these results I shall share with you all later. Remember that like all plants, succulents and cacti still require darkness hours for their growing cycle. 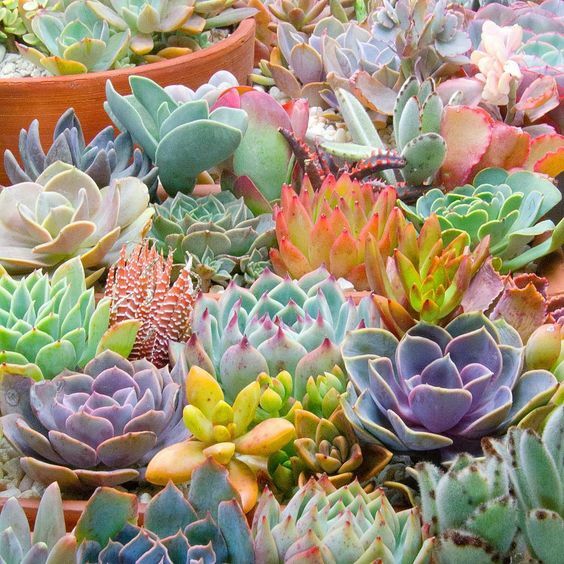 The growing cycle for succulent plants is called Crassulacean Acid Metabolism or C.A.M. in short. C.A.M. is a process in which the plants open their pores, or stomata, only at night time when natively it is dark and cool. 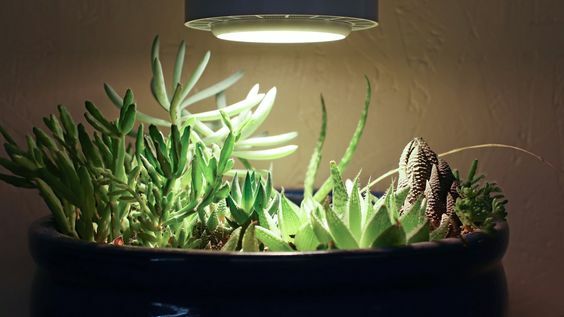 Carrying out this process at night avoids excess moisture losses, also allowing the succulent to absorb carbon dioxide, which is vital for photosynthesis to take place. Let us take a good look at the several types of Indoor Grow Lights available for successful succulent growing. These are the lights most used in commercial growing operations. They provide the highest amounts of light and heat but as a result, consume the most energy and are the most expensive to run. Part of the H.I.D. family of bulbs and often used for street lighting and industrial operations. These are pretty energy efficient and have a long lifespan. The H.I.D. bulb emits an amber-orange light, much like an autumn sunset. Also, part of the H.I.D. bulb family these bulbs are similar to the H.P.S. Both lamps are capable of producing a high quality of light output but in different parts of the colour spectrum. Metal Halide Lamps produce a white light and is recognised as one of the best lights for strong vegetative growth. Ideal for leafy vegetables. These release P.A.R. light which stands for photo synthetically active radiation. These offer greater efficiency and overall, better results. Unfortunately, L.E.D.’s cannot generate light over a wide spectrum, but release narrow bands of bright red and blue lights. 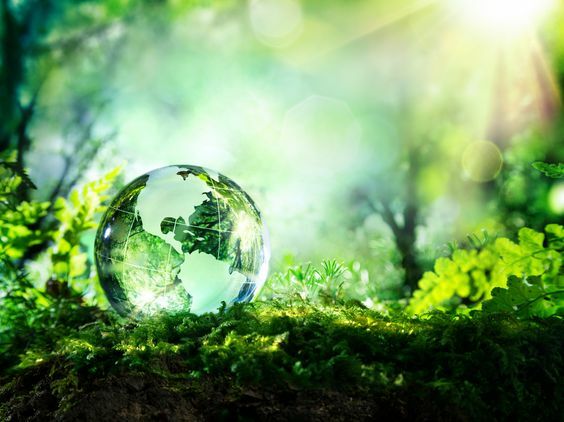 A bonus in using L.E.D.’s is they precisely pinpoint the ideal photosynthetic spectrum needed by plants for peak absorbance of chlorophyll through the photosynthesis process, plus they are noise-free, unlike the florescent lighting. They are also pretty energy efficient and low cost in the long term. The running costs of running these lights is less than the H.I.D., or any alternative lighting system. This in turn saves energy and plays its own part in saving the earth. I would say they are sufficient for a small growing collection and because they do not convey too much heat, they allow you to place different types of plants in one location, never causing scorch problems on your tender plants. Similar to the above, they cannot generate light over a wide spectrum but have soft white bands of light, rather than the red and blue. They do not pinpoint the plants perfect growing spectrum, but are cost effective and ideal for those would rather not have purple growing lights in their home. This is the most traditional and cheapest lighting option. A popular choice for small to medium plant collections and handy for starting seedlings off. In the short term, it is a fairy cost effective choice, but bulbs do have a rather short lifespan. 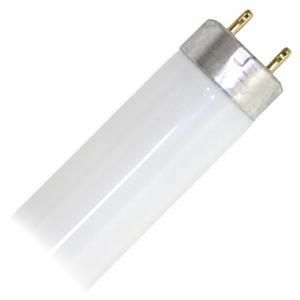 Choosing a florescent tube bulb with a diameter of 1.5 inches, (3.81 cm), is seen as a reasonable substitute for sunlight. 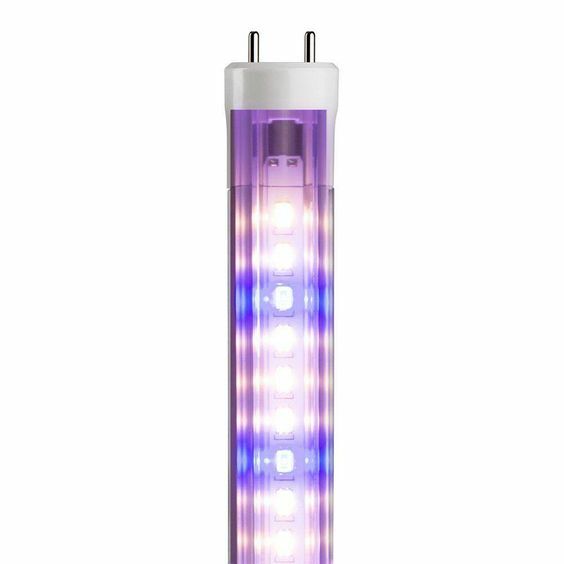 This will generate light over an area of 4 ft x 4 ft, (1.2 m x 1.2 m), create a lot of heat and run at anything between 400 to 1000 watts. 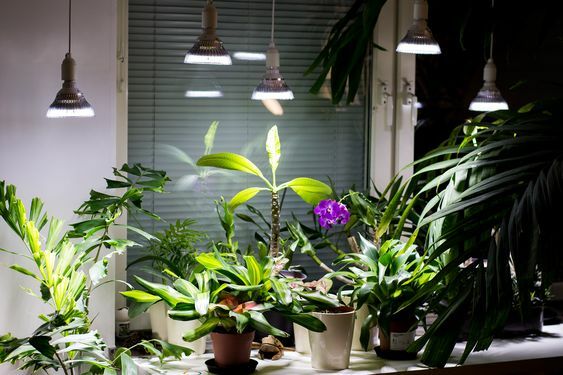 A downside of these lamps is that they are not providing the exact light which is of great benefit to your plants and whilst running, they do produce a buzzing sound. A lot of what they provide is actually heat, as noted above, and not essential light. An estimated 80% of what they omit is heat, which if placed too close, can cause scorching and be harmful to your tender plants. That said, these still remain a favourite for avid succulent growers. I have listed below some of the most efficient florescent tubes available, but first we need to talk about light output as many of the bulbs are gauged on the “lumen”, or light output scale. This is quite an in-depth subject, but I will just touch upon what you need to consider when choosing your grow lamps. Lumens is a measurement of the total amount of visible light to the human eye from a lamp or light source. The higher the Lumen rating, the brighter the lamp will appear. With grow lamps we are looking to replicate a similar lumen measurement to that of daylight. A common favourite, the oldest and cheapest to run which generates up to between 1980 to 3400 lumens. With a diameter of 1.5 inches, (3.81 cm), the T12 was considered very effective and affordable but is now being dis-continued and overtaken by the T8 and T5 florescent tubes which known to be are even more efficient. With a diameter of 1 inch, (2.54 cm), the T8 generates between 2850 to 3400 lumens. A single 4-foot bulb runs at 32 watts, which means great power efficiency. This lamp will run cool enough to be close to plants, without causing them any damage – a great plus point. At just 5/8 of an inch in diameter, that’s just 1.58 cm, this newly available florescent tube is brighter and more efficient than any of its predecessors. The downside though is that it comes with a higher price tag. The 4 ft, (1.2 m), “High Output T5” bulb runs at only 54 watts but generates a huge 5000 lumen per square foot and runs cool enough to be close to your plants without causing any scorch damage or sunburn. With the T8 and T5, it is recommended that you place your plants no further from the bulb than 12 inches, (30.48 cm). Plants with the highest light requirements will need to be sited under the middle of the bulb. Well, there we have the different lamps available for successful indoor cacti and succulent growing. Take your time to choose which you think will be best for your individual situation. To help you along, I have sourced a list of the “Best 5 Grow lights for Succulents 2019”, for you to browse through. 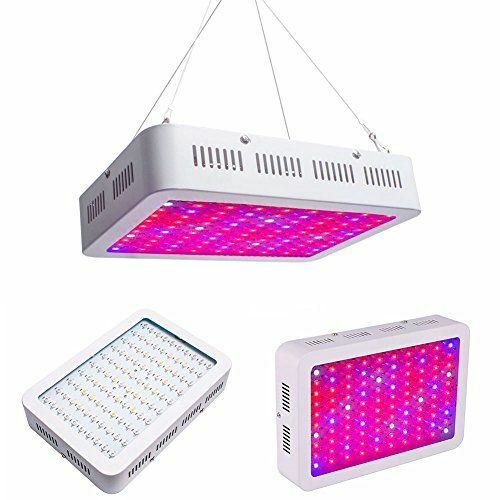 Ideal for those of you just getting started with grow lights with an easy to construct system generating an output of 15 – 20 % more lumens than an average light. Relatively simple to use with a simple toggle clamp which allows you to easily adjust the height of the lamp. You should not need to use this system for more than 6 hours per day and it is suitable for a wide range of plants. The lights have a reflected finish, with more light directed at your plants and it is easy to move around. Available in two different sizes, it can fit in smaller spaces or cover many plants at one time. An eco-friendly system creating less wastage and using less energy. Provides a longer lifespan for a smaller bulb, so affordable to run. Most incandescent lights tend to run too hot to work successfully for succulents, but the Duralux T5 Grow light is a great option providing safety and performance efficiency. It is worth acknowledging that if you have greater lighting needs for more than just a few plants, Duralux also offer a four-bulb version of the fixture. Its versatility makes it great for any application. You can daisy-chain the fixtures as well, running up to three of them from a single outlet. This makes it ideal should you have an entire growing room. Obviously, the final decision is up to you. 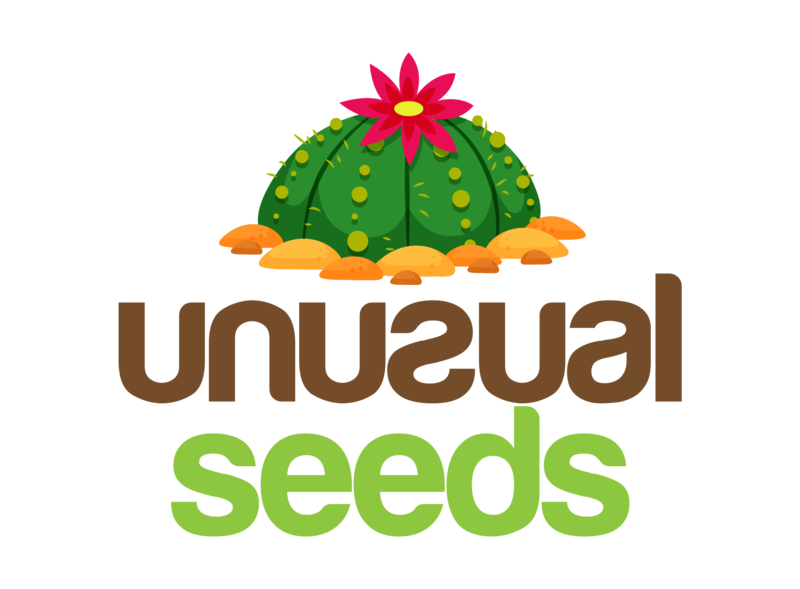 I hope this has made it a little easier to negotiate the masses of options available to you as a dedicated cacti and succulent grower. Happy growing People, let’s do our utmost to keep our plants happy and healthy.